The Weekly Slots tournament of Rich Casino, namely Thermal Thursday, is surely going to heat up things for you. Designed exclusively for every Slot lover out there, this bonus promotion bestows upon you a chance to win up to $1000, simply by spinning the reels of your favourite Slots machines. Earn points by playing any Slots game at this online casino because the more points you accumulate, the higher you get on the leaderboard. Play Reels of Wealth and Tiger's Claw Slot games to earn double points and reach the top of the leaderboard faster. Only players who make a minimum deposit of $50 during the promotional period are entitled to participate in the tournament. This promotional offer is limited to one person per household and cannot be used in conjunction with any other offer. How can I take part in Rich Casino Thermal Thursday Slots tourney? 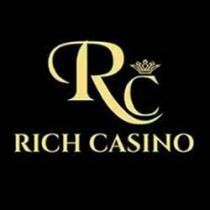 Login to your Rich Casino account on every Thursday during the promotion time-frame. Make a deposit of $50 or more. You'll earn 1 point for every $1 staked on Slots and for $1 wagered on selected Slots games, you get 2 points. The two selected games include Reels of Wealth and Tiger's Claw Slots. This Slots tournament is active on every Thursday from 00:00:00 to 23:59:59 UTC+1. Selected games to earn double points are Tiger's Claw Slot and Reels of Wealth Slot. The final results will be displayed 1 hour after the promotion ends, starting Friday 01:00:00 UTC+1. Prizes are credited to winners' accounts by default on the announcement of the result. Apart from Rich casino bonuses & promotions, find other latest casino promotions ranging between No Deposit & Deposit Bonuses along with their bonus/promo codes here!